Whether you purchased the finest patio furniture that money can buy, or if you chose an affordable yet reliable set, you’d probably like it to last for a long time. Without taking good care of your patio furniture though, it could rapidly start showing its age. In addition to becoming weathered and faded by the elements, your outdoor furniture can slowly but surely begin to fall apart. With every passing year, neglected furniture will look worse and worse. It doesn’t have to be this way. Maintaining patio furniture doesn’t require a lot of time, effort or money. With so much sunshine throughout the year, and often times seeing summertime weather in the middle of winter, patio furniture is almost a year round necessity. Though, between all the snow, rain, hail, and hot temperatures, it’ll take quite the beating if you use it all year long. However, there are a few things you can do to protect your furniture and prolong its life. A little planning ahead can go a long way. 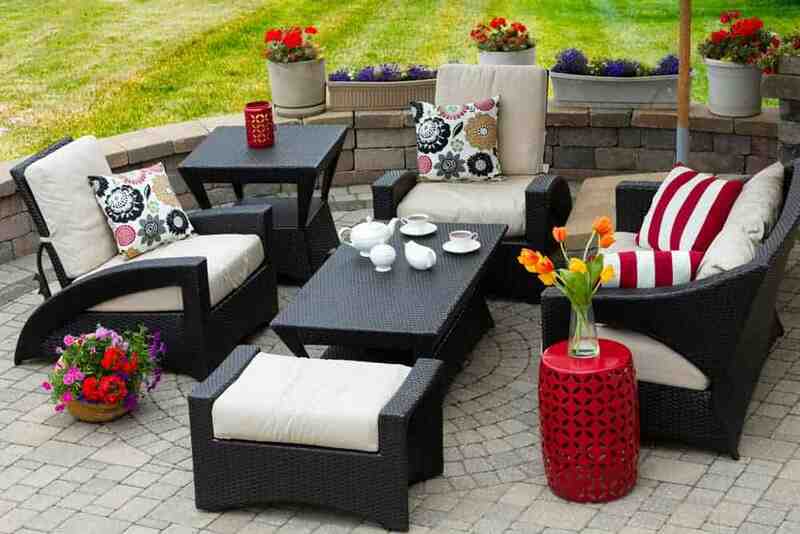 Following these quick tips will help have your patio furniture in top shape for years to come! Cover up. When you’re not using your furniture it is best to cover it up. Keeping it covered up will help keep it clean and reduce the damage from the elements. Clean it up. Dirt, it happens. Things get dirty, even if you don’t use them all the time, and patio furniture is no exception. Use a little soap and water to clean it up every now and then. Note: don’t wait until it’s too late! Put it away. If you know you aren’t going to be using your furniture, put it inside. Exposure to the sun and weather can do harmful damage. Taking it inside will prolong its life. Seal it. Stone and wood furniture should be sealed yearly, with an outdoor UV proof sealer on your stone, and water repellent sealer for your wood pieces. This will reduce the damage from the intense UV rays, possible staining, fading, and make it easier to clean. Always take the time to read the suggested care tips. These manufacturers know what they are talking about and following their suggestions will only be to your benefit. Even though most patio furniture is billed as being weatherproof, the reality isn’t always the same. Besides, you have to be reasonable about it. This furniture is not designed to be indestructible. With a little care, cleaning and maintenance, your furniture will continue looking as good as it did when you bought it for a long time to come. Don’t think of it as a major chore; think of it as a way to maximize your investment. In the long run, all of the extra work is sure to be more than worth it. What Makes Porchlight Homes Different?